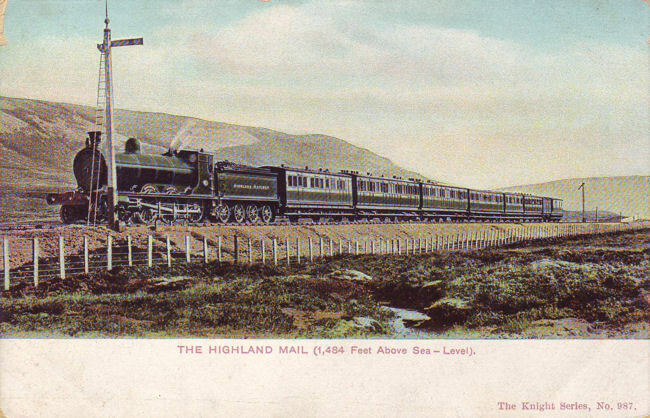 In Scotland, the Highland Railway carried the Mails north from Perth to Inverness and Helmsdale. The train is pictured at the summit of the line at Druimuachdar; the locomotive is in Invernesshire and the rear of the train, including the Sorting Carriage, is in Perthshire. Published by Knight in 1904.